Okay, I’ve had various ideas for this post kicking around in my pea sized brain for a while now. I wanted to explain to my readers why I do this (ie. blog). I started blogging about five years ago at about the time that Paula and I had decided to retire and move from Massachusetts to California to live with her aging mother. I felt that I had a story to tell and that if I didn’t do it then the story wouldn’t get told. I didn’t feel that I had the writing chops to write my autobiography and I wouldn’t be getting some famous biographer to step up to the plate and do it. So blogging was it then. One spends a lifetime filling your brain with stories and information. Then when you get old and senile it all leaks out and falls on the floor to be forgotten. I didn’t want that to happen to me. I’ve seen that first hand in Mary. She remembers almost nothing about her life. Paula’s Dad, Harold took a ton of pictures but most have the pictures have no information on the back. We’re left guessing who was in the picture and where it was taken and why it might be important. I thought about doing it on Facebook, but Facebook seemed to be too limited on what I could write and many of my friends and family don’t do Facebook, but they will read an email from me. (By the way, you can get Word Press to automatically email my latest post to you). WordPress has Window apps and iPhone and iPad apps. Pretty sure they have apps for Android too. As of today, I have written 448 posts that are read by about 125 people. This is post #449. Some of my readers are friends and family, but many are people that I have never met. Some of those people are also bloggers and I often read and follow their blogs. So what do I write about? I write about that which interests me. 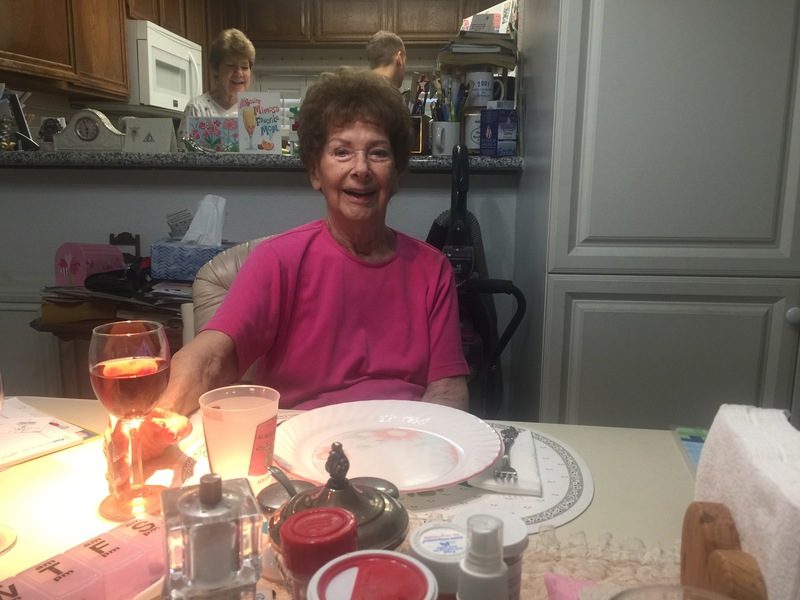 I write about family especially my aging mother-in-law Mary. I write about books that I’ve read and movies we’ve seen. Mary’s brother Jack who lives in Louisiana, faithfully reads all of my blog posts. I write about technology. I spent almost all of my working life doing IT support for DEC, Compaq, HP and IBM. Many older folks call their adult children for PC technical support. In my family, they call me. I also keep a private journal on Evernote. This where I put all of my private stuff that is inappropriate to publish on the blog. Evernote is a great app. There is a journaling app that I used on iOS called vJournal that works with Evernote. I use Evernote for filing all of the documents and statements that we receive. I have a recipe folder. Paula will ask me to look up a recipe while we are wandering through the grocery store. Check it out. You won’t be disappointed. Here’s the iPad link and here’s the iPhone link to the iTunes app store. You’ll have to figure out the Android link yourself. That’s about it for now. Thank you to all my faithful readers.